This, my friend, is what happens when you grow up in a house (of learned doctors) where both of your parents worshiped The Beatles. You hum that song to yourself every time you apply Butter London’s creamy new $20 Lippy Tinted Balm in Strawberry Field (and keep calling it “Strawberry Fields Forever”) — a side effect of growing up on a steady diet of music by John, Paul, George and Ringo. 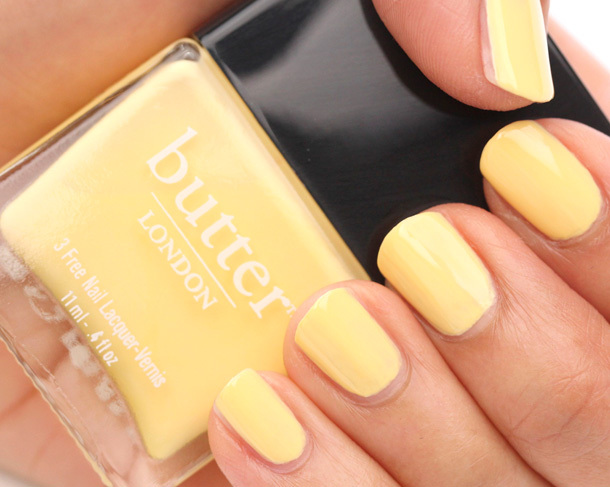 The nail polish purveyors recently branched out into other forms of makeup, releasing pieces for eyes, lips and cheeks. 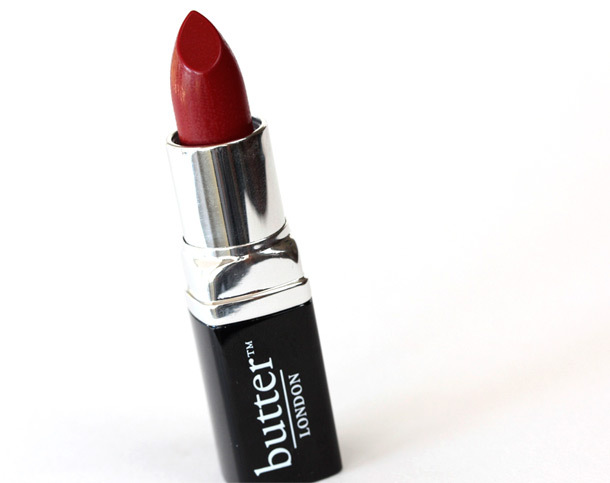 Strawberry Field is one of six Lippy Tinted Balms added to Butter London’s permanent line. Before I brought the bright red balm to my lips for the first time, I thought it would be a chore to apply based on how pigmented it looked in my initial swatches, but it’s just as easy to wear as a Burt’s Bee’s Lip Balm. When fall, which is still just a whisper on the wind, and the holidays roll around, red lips abound! — and there are plenty of options to choose from, but Strawberry Field doesn’t bring with it the high-maintenance drama that often accompanies full-coverage crimsons. Being a balm, it’s sheerer than your average lipstick and doesn’t flip out if I fudge my application a little… Mistakes aren’t as easy to spot. Heck, I can even apply it without a mirror and can skip a lip liner and lip brush. Really, it’s one of the easiest reds I’ve ever worn. Does it smell or taste like strawberries? Nope, neither. And thank goodness for that! Nothing turns my tum more than faux strawberry. It’s a little like Nilla Wafers, and it’s faint and fades after five minutes. How’s the moisture content? Not too shabby, tabby. They may not be as moisturizing as a Burt’s Bees Lip Balm (those make my lips go “AHHHHH!” whenever I wear them), but they’re still quite hydrating. What’s the wear time like? One layer and I’m good to go for at least 3-4 hours, which is great for a lightweight, non-sticky balm. Will I need multiple layers? 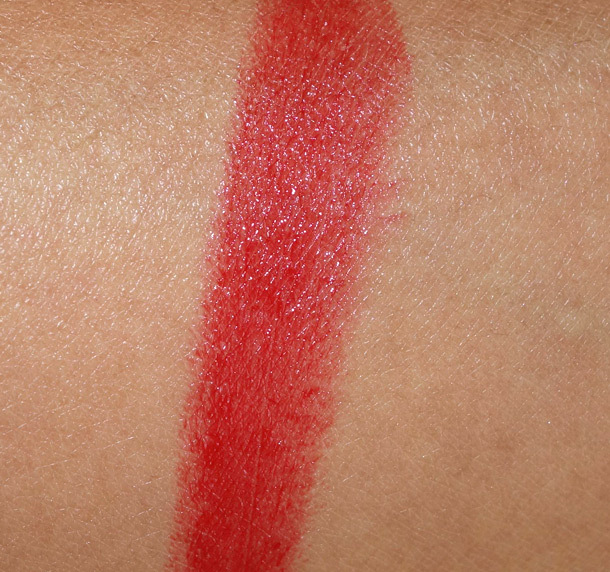 Nah, just one, and get this — the formula’s smooooove and doesn’t settle into lip lines. 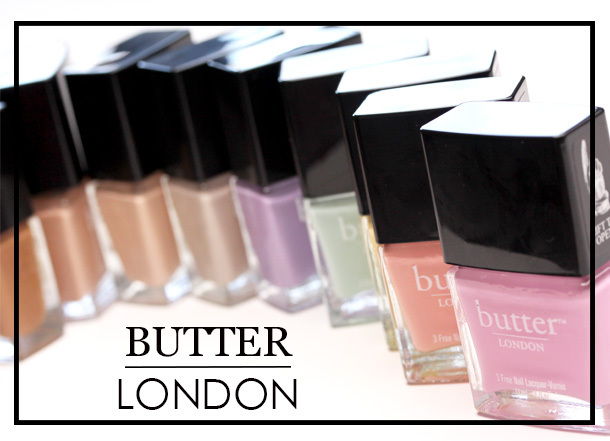 Butter London’s summer 2013 collection, available now at Butter London counters and online. Today my brain politely offered me two options. 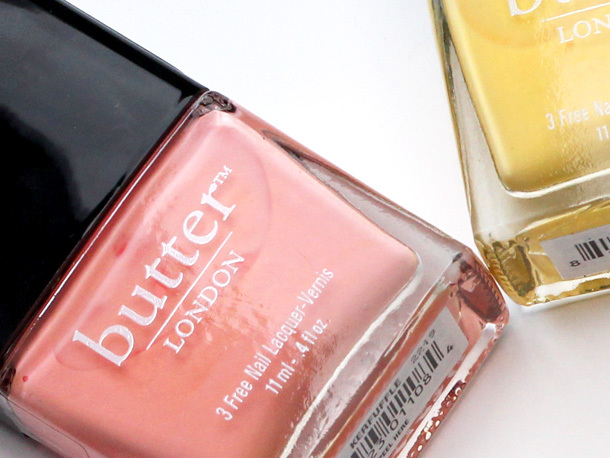 One, I could spend the afternoon experimenting with my new Sunbeam Panini Press (and eating said food experiments)…or two, I could catch up on spring nail polish swatches. 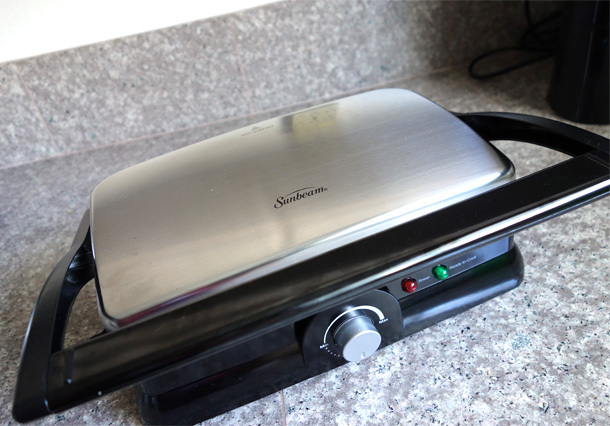 But technically, the panini press isn’t new. I’ve had it since Christmas (of 2010!) and just kind of forgot about it. Over the past few days, I’ve made a couple of grilled cheese sandwiches with it, a delicious grilled shrimp burrito (!) and a quesadilla with brie and pear. 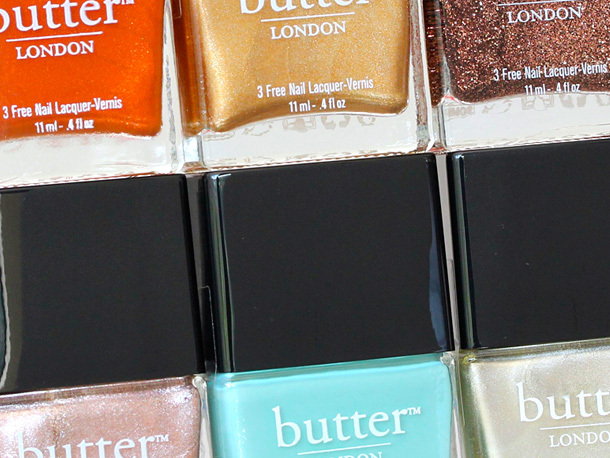 This year, Butter London divided their spring launch into two parts — the six-piece Sweetie Shop collection and three-piece Starkers collection. Each bottle goes for $15 a pop. 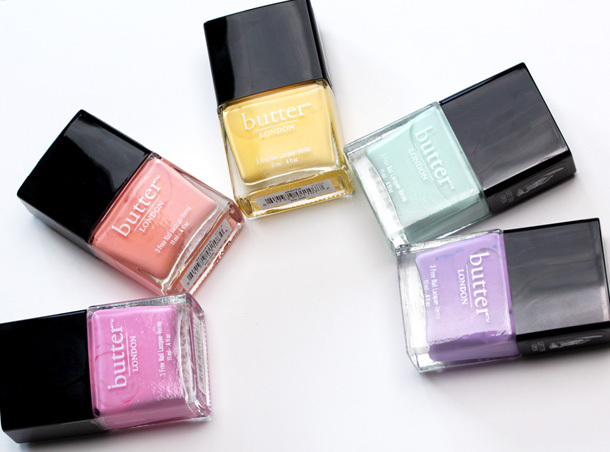 Five of Butter London’s six spring 2013 shades ($15 each) From the left: Fruit Machine, Kerfluffle, Jasper, Fiver and Molly Coddled. 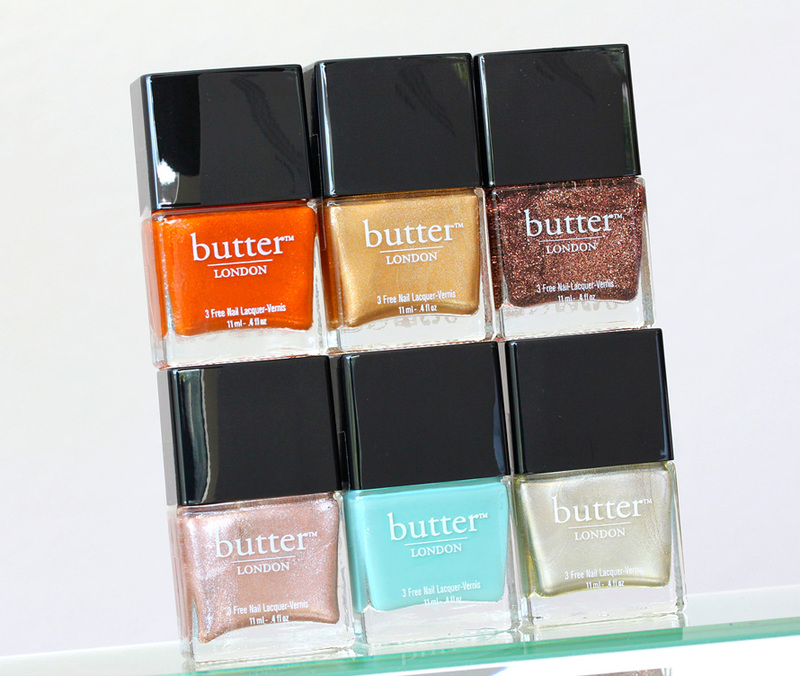 Available now at Nordstrom stores, Butter London counters and online.